Polish Power Training TM (PPT) is a new, exciting system based on some German Volume Training (GVT) principles that utilizes shorter rest periods and higher volume. This makes it perfect for dialing it in for a show or just to nail conditioning in the last 4-to-6 six weeks of a diet. These workouts should take around one hour to one hour and 15 minutes and the pump PPT will provide especially when combined with Scivation VasoCharge and Xtend will be absolutely insane! Use a weight that you can handle for around 15 reps. Perform compound exercises for your ten-set exercises and isolation exercises for your four-set exercises. Always do the heavy compounds first, regardless of bodypart. If you cannot get all ten reps on the set, lower the weight and complete the ten reps (drop set). On the subsequent set, if you are not on set number ten, start with that lower weight. Rest 30-60 seconds between sets and you may even go longer than this, up to two minutes, if you feel that the extra rest will help you finish all ten reps. Perform this routine for four to six weeks followed by a lower volume program. As with every workout program Scivation is a part of, perform 20-45 minutes of cardio depending on your goals pre or post workout. Perform abs as desired. Four sets after your weight training of crunches or hanging leg raises will work fine. Always have Xtend (Workout Nutrition) around your workout with a grueling training system like PPT to enhance results. If the weight is too light, raise the weight for your next set. 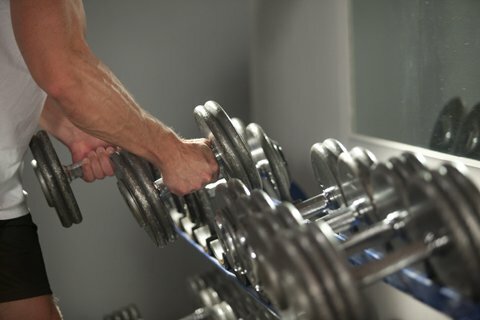 Do not go over ten reps unless it is set number ten. Without further ado, here are the proposed workouts. We will be doing the following split. If you recover slowly, do this workout three times per week (M, W, F). If you recover fast, do this program five to six days per week. It is customizable for your recovery needs! You can interchange exercises as desired. Here are the sample workouts with sample weights. These are not the weights that you have to use! For You. The Provided Weights Are Only Examples.